Today is the first day of classes at my university, and the campus is abuzz with excitement. In fact, this enthusiasm can be seen in abundance of exclamation marks that currently litter our campus. I'm not sure why they do this. 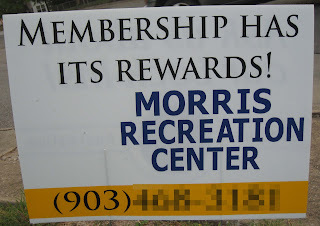 A few weeks ago, our recreation center began putting out a variety of signs advertising membership, and in every case they use an exclamation mark. 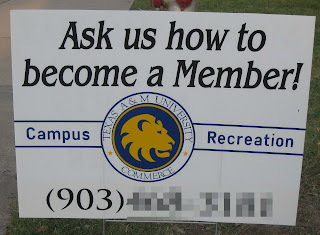 Perhaps they think this will emphasize their point and/or get people psyched up about the rec center. What this says to me is a lack of understanding of basic punctuation, something that an educational institution should avoid. I don't know...punch passes and corporate memberships just don't cry out for this level of excitement. But I've come to expect things like this. Check out other "educated" decisions our university has made such as the water tower typo, the active shooter training program and its warped sense of diversity. 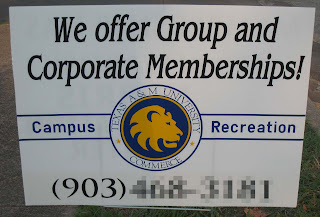 Perhaps I should spend the rest of the day humming our alma mater...and punctuating each line! 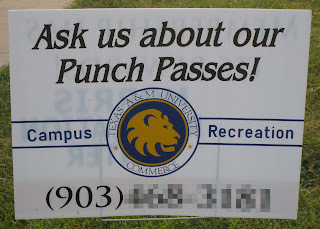 Punch passes does not seem to warrant this level of exclamation, very amusing. 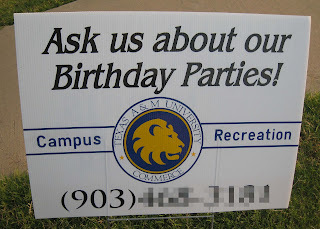 Also, you may want to consider blurring the phone numbers a bit more, they are fairly easy to make out at the moment. Happy! First! Day! of! School!, Derek! 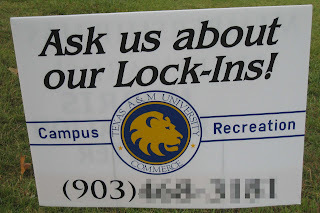 The funniest part about this posting is that you can still casually read the phone number.